YouTube TV vs. PlayStation Vue—Which is Best for Cord-Cutters? If you’re looking for a way to watch live TV without a cable subscription, YouTube TV and PlayStation Vue are two of the best options available. While we like both services, one definitely gives you more bang for your buck. So which service comes out on top? When you break it down and look at the details, the math adds up—YouTube TV is one of the best streaming services we’ve tried. And it’s a pretty clear winner over PlayStation Vue, even if PS Vue is generally a solid service. Both PlayStation Vue and YouTube TV have good things going for them. They both offer unlimited DVR space, compatibility with most major devices, and a decent number of channels for the price. But ultimately, we feel pretty confident recommending YouTube TV over PlayStation Vue. YouTube TV takes everything PlayStation Vue does well (reliable livestreaming, DVR options, reasonable pricing) and does it just a bit better, raising PS Vue’s 720p resolution and 28-day DVR time limit with 1080p and a nine-month time limit. And while both services feature the same starting price (roughly $40 per month), YouTube TV gives you more channels for that price than you get with PlayStation Vue (or Sling TV, DIRECTV NOW, Hulu with Live TV, or fuboTV for that matter). TL;DR version: YouTube TV is a great choice for anyone looking to ditch cable. It offers more features and options for a lower price than PlayStation Vue. When you’re weighing YouTube TV against PlayStation Vue, price is probably the first thing you look at. PlayStation Vue plans start at $39.99 per month—about the same as YouTube TV, which costs an even $40 per month. The difference is the value. PlayStation Vue’s Access plan gets you 49 channels for $45 per month. For the same price, you can get 73 channels with YouTube TV. Even PlayStation’s next package tier (Core) doesn’t get you that many channels, and it costs $5 more per month. No matter how you slice it, YouTube TV gives you a more well-rounded, inclusive TV experience for the price. How much does PlayStation Vue cost with all the add-ons? Which channels are available on YouTube TV? How do streaming services even work? We’re just barely scratching the surface on what there is to know about these streaming services. To get answers to these questions (and more), be sure to check out our PlayStation Vue and YouTube TV reviews. Do YouTube TV and PlayStation Vue offer any deals? PlayStation Vue does offer discounts on add-on channels for PlayStation Plus subscribers, though. And YouTube TV used to offer a free Chromecast after one month, but that offer was discontinued once YouTube TV expanded its device compatibility. That’s a bummer, but we tend to think the services themselves are pretty great deals—especially compared to cable. Blech. We’ll keep this short and sweet: PlayStation Vue offers more channels than YouTube TV. That being said, YouTube TV offers more channels than PlayStation Vue’s starting package (Access) or its next package upgrade (Core). So keep that under advisement. But if you’re the type of cord-cutter who’s all about those channels, PlayStation Vue’s TV channel selection may be the better overall fit for you—even if it costs a bit more. Overall, we’d say YouTube TV is better for sports. The PlayStation Vue channels included in the Core package are more or less the same as you’d get with YouTube TV, but YouTubeTV costs less. If you’re a sports fan, we recommend comparing your list of must-have channels to the YouTube TV and PS Vue channels we’ve listed above. Then, pick the service that offers more of the channels you want. If you want to make sure you’re getting the best possible deal on all the channels you want, we recommend checking out our nifty cord-cutting tool. Just tell us what you want to watch, and we’ll show you the cheapest service that offers it. Score. What channels do I get with PlayStation Vue and YouTube TV? We’re not going to get too much into which channels each service offers. Heaven knows this page is long enough already. But you can check out our YouTube TV and PlayStation Vue reviews to get the full list of networks each service offers. This is another no-brainer. YouTube TV simply offers more local channels than PlayStation Vue. If you’re thinking about cutting the cord, you need to take into account local broadcast networks. In order for a streaming service to offer your local ABC, CBS, FOX, and NBC stations, it needs to secure streaming deals with whatever companies own your local affiliates. YouTube TV offers all four major local stations (ABC, CBS, FOX, and NBC) in almost every area where it’s available. That’s impressive, especially since most streaming services really struggle to reach streaming agreements with local stations. PlayStation Vue, meanwhile, has pretty limited ABC, FOX, and NBC offerings (but it is one of the strongest streaming services when it comes to CBS coverage). Instead, PlayStation Vue focuses more on delivering the cable channels most cord-cutters seem to want. If you’re looking for a service that can straight-up replace your cable package, YouTube TV’s excellent local channel coverage is sure to please. Services like Sling TV tend to skimp on local channels to keep their prices low. If none of the streaming services you’ve looked at offer the local channels you care about, you may want to supplement your streaming service with a digital antenna. FYI, we really like the Mohu Releaf, available on Amazon. Can you record shows on PlayStation Vue? Yes. Can you actually watch them? That’s a bit more up in the air. Both PlayStation Vue and YouTube TV offer unlimited cloud DVR storage. That means you can record as many episodes of Property Brothers as you want without running out of space. The downside: both services impose a time limit on how long you can keep your recordings. The PlayStation Vue DVR is a lot more restrictive than YouTube TV’s because you can hang onto your recordings for only 28 days. We don’t know about you, but we’re terrible at watching every single recording on our DVR within four weeks. It’s not that we don’t want to watch that documentary on honey bees—we just don’t have time for it right now. Fortunately, YouTube TV’s cloud DVR lets you keep recordings for up to nine months. We’d still prefer not to have a time limit at all, but we’re a lot more likely to watch that documentary if we have nine whole months before it’s deleted. * Free with Ultra package. ** Discounts available for PS Plus subscribers. YouTube TV isn’t perfect, and that’s clear when you compare its premium channel offerings to PlayStation Vue’s. YouTube TV doesn’t offer HBO. We know—who does that? Granted, you can always subscribe to HBO NOW separately, but that means you have to switch between apps anytime you want to watch Game of Thrones. Not so with PlayStation Vue, where you can get everything in one place. PlayStation Vue also offers more of the premium channels you’ve come to love with cable, including CINEMAX, EPIX, and SHOWTIME. So overall, it’s a smarter pick for premium channel junkies. That being said, some users might like the more niche premium channels available on YouTube TV. If you’re a big horror fan, Shudder is a must-have that’s not available with PlayStation Vue. Or if you’re really into indie films and shows, Sundance Now is a big draw. You do you. YouTube TV and PlayStation Vue are two of the most reliable streaming services available. Both feature little to no lagging, and they rarely glitch, so you can enjoy smooth livestreaming on everything from Comedy Central to Fox Sports. Ultimately, we had to give this category to YouTube TV. PlayStation Vue’s picture resolution maxes out at 720p, while YouTube TV delivers the same reliability and smooth streaming at 1080p. And better picture quality is important if you’re looking for a TV service that looks good on your 4K TV. Streaming TV at home requires a solid internet connection, so it’s worth checking to make sure your internet plan passes muster. Fortunately, we’ve got just the guide to help you out. We walk you through what you’ll need and which providers offer the speed and reliability cord-cutters look for. Problem solved. Both PlayStation Vue and YouTube TV are available on the same number of devices, so there’s no clear winner here. But while each service is compatible with 16 devices, the types of devices do differ. If you’re planning to stream on an Amazon Fire device or Xbox, that’ll determine which service works best for you. Because of a corporate feud between Google and Amazon, YouTube TV is not available to stream on Amazon devices. On the other hand, PlayStation Vue doesn’t offer compatibility with any game console besides the PlayStation 3 and PlayStation 4. Presumably, that’s to encourage gamers to buy PlayStations rather than Nintendo or Xbox consoles. Real mature, everyone. Definitely.  While PlayStation Vue was initially created for PlayStation users, it has now expanded so everyone can use it—regardless of whether you have a PlayStation console or not. Feeling a little lost? Not to worry—we’ve got you covered with a comprehensive guide to streaming devices. It’s like a little roadmap leading to the perfect streaming solution for you. YouTube TV may offer fewer simultaneous streams than PlayStation Vue, but we think the overall user experience is better with YouTube TV—especially if you’re just barely switching away from cable. We judge user experience on four categories: channel guide, playback features/commercial skipping, interface, and simultaneous streaming. Here’s how the two services stack up. Every streaming service, from Sling TV to Hulu Live, has a channel guide (or something close to it). The trick is finding a service with one you can understand and use with ease. As you can see from the image above, PlayStation Vue’s channel guide is pretty easy to find (just click on “Guide,” and you’re there). It’s also fairly comprehensive, with every channel’s programming listed vertically by time. The only issue we’ve found is the way channels are listed at the top of the screen instead of the side. If you’ve been using cable for a while, this service’s guide might feel backwards and will take some getting used to. YouTube TV’s guide, on the other hand, is a bit closer to what you’d get with cable, so it makes the transition to live TV streaming a bit easier for first-time cord-cutters. YouTube TV gets the point for channel guides. We don’t love the playback features and commercial skipping options on PlayStation Vue. When you’re watching live TV, you can restart live shows from the beginning if you tune in midway. But otherwise, you have no options for fast-forwarding or rewinding on live TV, though you can pause live TV for up to four minutes and 15 seconds. YouTube TV, on the other hand, offers uh-maze-ing live TV controls. You can pause for as long as you want and fast-forward through commercial breaks. It also doesn’t make you jump to live TV if you’re too far behind. That’s great news for cord-cutters who are just switching to live TV streaming services, as it’s very similar to the playback controls you get with cable (i.e. fast-forwarding, rewinding, and pausing on live TV). This is a tough one because both PlayStation Vue and YouTube TV deliver easy-to-use interfaces (especially compared to some of the more complicated services like Hulu Live). We’re giving this one to YouTube TV, though, because YouTube TV’s interface is simple without being too simple. There’s a tab for your DVR, a tab for your channel guide (where you can select the live TV you want to watch), and a tab for recommendations. Side note: we love the recommendations page because it uses Google’s special sauce to figure out what you’ll probably want to watch next with pinpoint accuracy. You can also use the search feature to get to the on-demand streaming options you want. Easy peasy. The numbers here are clear: PlayStation Vue offers more simultaneous streams than YouTube TV (five total, to be exact). That means your PlayStation Vue service will let you watch on more devices at a time than YouTube TV service. And unlike Sling TV (which gives you more streams only if you upgrade from Sling Orange to a bigger package like Sling Blue), PlayStation Vue offers five streams regardless of which plan you sign up for. That’s a big plus if you’re looking for a streaming service to accommodate a large family or a lot of devices on a budget. One point for PlayStation Vue. We have to award this category to YouTube TV. With its simple interface, excellent live TV controls, and user-friendly channel guide, it’s just easier to use and closer to what you’d get with cable. YouTube TV beats PlayStation Vue outright in five of our eight categories, tying in one. That’s a pretty clear victory for YouTube TV. Of course, while we think YouTube TV is a better overall solution for most cord-cutters, it’s still totally possible that PlayStation Vue is a better fit for your particular needs. We recommend checking out our detailed YouTube TV and PlayStation Vue reviews to read more about each service. So what do you think—did we choose the right winner? Let us know more about your experience with PlayStation Vue and YouTube TV in the comments below. What is YouTube Red and is it included with YouTube TV? YouTube Red is separate from YouTube TV. YouTube TV does include access to YouTube Red originals, but that’s it—you don’t get commercial skipping, Google Play Music access, or background playing with your YouTube TV account. If you want those perks, you can sign up for YouTube Red separately for $9.99 per month. Just keep in mind, it won’t affect commercials on your YouTube TV account—you’ll still have to watch commercials on your on-demand content. Do I need a satellite dish for YouTube TV or PlayStation Vue? Nope. One of the perks of switching to a streaming service is you don’t have to install a big dish on your house. You also don’t have to pay rental fees for set-top boxes and other equipment. If you sign up for PlayStation Vue or YouTube TV, the only hardware you need is your streaming device. You get to choose your device, so you’re not forced into using equipment you don’t like. And since you own your device, you don’t have to pay rental fees. Score.